Mark T. Calloway, immediate past leader of the firm’s Investigations – Government & Special Group, concentrates his practice on white collar criminal defense, with an emphasis on health care, internal corporate investigations, compliance program development, implementation and auditing. Prior to joining Alston & Bird, Mark served as the U.S. Attorney for the Western District of North Carolina from 1994 to 2001. During his tenure with the Department of Justice, Mark also served as director of the Executive Office for United States Attorneys, was responsible for support and oversight of all 93 U.S. Attorneys’ Offices, and played a key role in management and policy implementation for the Department of Justice. He also served as chair of the White Collar Crime Subcommittee of the Attorney General’s Advisory Committee. In 2001, Attorney General Janet Reno awarded Mark the Edmund J. Randolph Award for outstanding service to the Department of Justice. Mark has been listed in The Best Lawyers in America since 2005 and has been recognized by Super Lawyers magazine on multiple occasions. 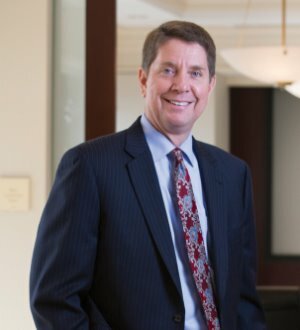 His peers in the legal community have selected Mark as one of North Carolina’s "Legal Elite."